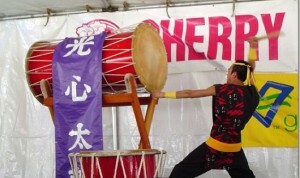 MONTEREY PARK — The 2012 Cherry Blossom Festival Committee and the City of Monterey Park will present the 15th annual Cherry Blossom Festival on April 21 and 22 at Barnes Park, 350 S. McPherrin Ave., Monterey Park. Hours are 11 a.m. to 6:30 p.m. Saturday, 11 a.m. to 6 p.m. Sunday. Planned and coordinated by community volunteers, the free cultural arts event offers a forum for learning, entertainment, fun, and support of community. Visitors will be able to see, hear, and taste a bit of the Japanese and Japanese American culture through a first-hand experience of watching traditional Japanese dancing, hearing the resounding beats of the taiko drums, observing the mastery and various skills of martial arts, participating in the ancient art of the tea ceremony, or buying hand-made crafts with an Asian flair. • Kyo No Kai, a kabuki performance group founded and headed by Nakamura Gankyo (aka Bando Hiroshichiro). Its mission is to teach and promote various aspects of traditional Japanese culture with the emphasis on the performance art of kabuki. As a professional kabuki actor, Nakamura has performed in all of the major kabuki theaters throughout Japan. • Rodney Kageyama, an accomplished actor who has appeared in films such as “The Next Karate Kid,” and “Pretty Woman” and on TV shows such as “Home Improvement,” “Quantum Leap,” “Married with Children,” and “The Fresh Prince of Bel-Air.” He is joining the festival for another year as emcee. 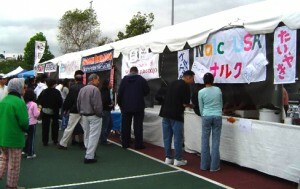 The festival will feature an international array of food, including many authentic Japanese items. Other highlights include games and crafts for children, and numerous cultural displays. Raffle tickets are only $2 each. The top prize is $1,000; other major prizes will be announced. Free parking and shuttle service (approximately every 15 minutes) is available at El Repetto Elementary School, 650 S. Grandridge Ave., and Ynez Elementary School, 120 S. Ynez Ave. (between Garvey and Newmark). Note: Do not park in the library parking lot. 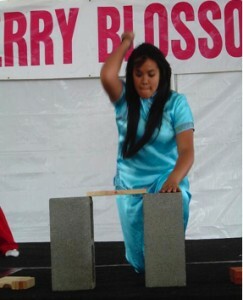 The Cherry Blossom Festival has a long history of being held in Monterey Park since the early 1970s. 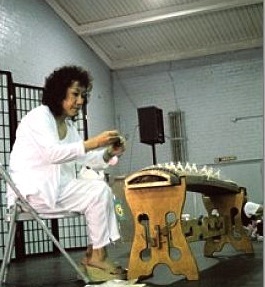 Initially started as a fundraising endeavor by the VFW Post as a carnival in the old Atlantic Square Shopping Center, it changed to include cultural promotion of the Japanese culture in the 1980s through the efforts of long-time resident Kathern Inouye. Discontinued shortly after, the festival was resurrected in 1997 by a group of community volunteers who conducted their own fundraising activities for nearly a year before proceeding to solicit and coordinate a program showcasing the arts. 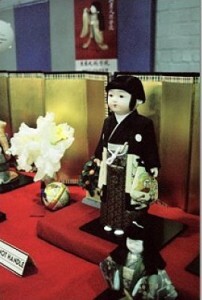 Their efforts were realized through the successful rebirth of the festival in April 1998.